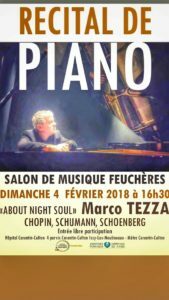 Marco will play the Chopin part of his program on a Pleyel/Piano from Chopin’s Era. 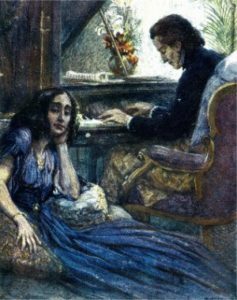 Camille Pleyel met Frédéric Chopin in the Autumn of 1831 and in the Pleyel salons of his friend Camille, he gave his first concert on February 26th 1832. 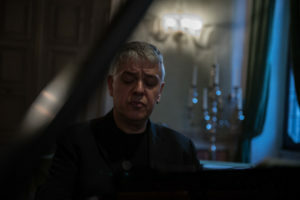 Before an audience of great Parisian pianists and music journalists, his success was immediate. 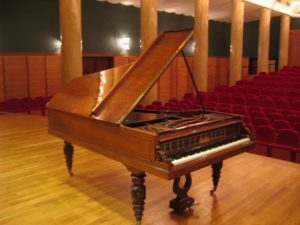 His success continued until his death, but Chopin remained faithful to his friend Camille and to Pleyel pianos, whose touch married perfectly with Chopin’s playing, sometimes airy and refined and sometimes of measured violence. “When I feel in good form and strong enough to find my own sound, I need a Pleyel piano,” Chopin liked to repeat. Camille became Chopin’s appointed provider, who gave in return all his Parisian public concerts in the Pleyel salons. He packed the house until his very last performance, a few months before his death in 1849.